Abandoned in the jungle of the Nepalese Borderlands, two-year-old Nandu is found living under the protective watch of a pack of wild dogs. 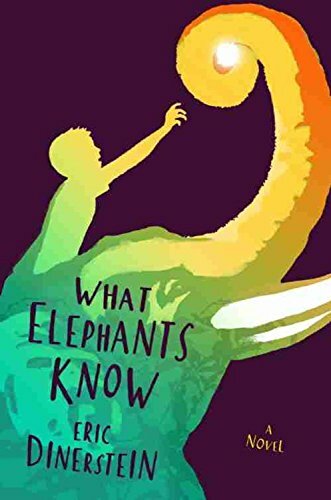 From his mysterious beginnings, fate delivers him to the King's elephant stable, where he is raised by unlikely parents—the wise head of the stable, Subba-sahib, and Devi Kali, a fierce and affectionate female elephant. When the king's government threatens to close the stable, Nandu, now twelve, searches for a way to save his family and community. A risky plan could be the answer. But to succeed, they'll need a great tusker. The future is in Nandu's hands as he sets out to find a bull elephant and bring him back to the Borderlands. In simple poetic prose, author Eric Dinerstein brings to life Nepal's breathtaking jungle wildlife and rural culture, as seen through the eyes of a young outcast, struggling to find his place in the world.